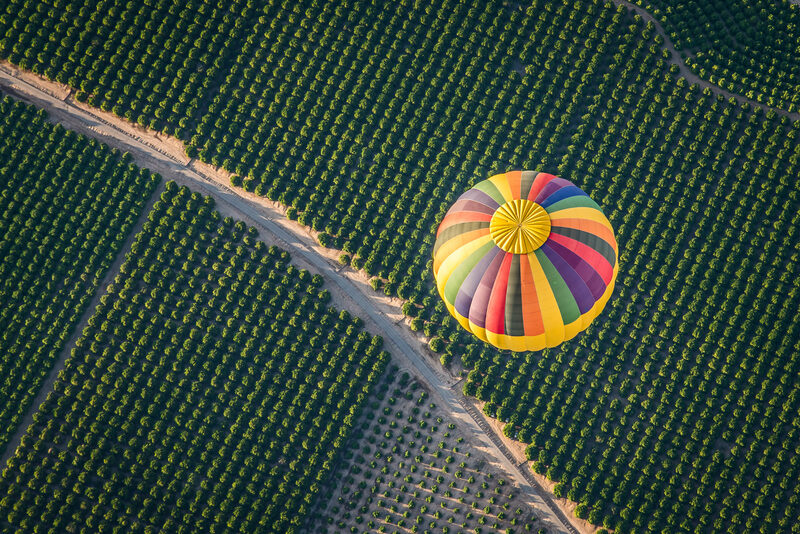 Directions: A balloon ride is a great way to get aerial pictures of a beautiful landscape. 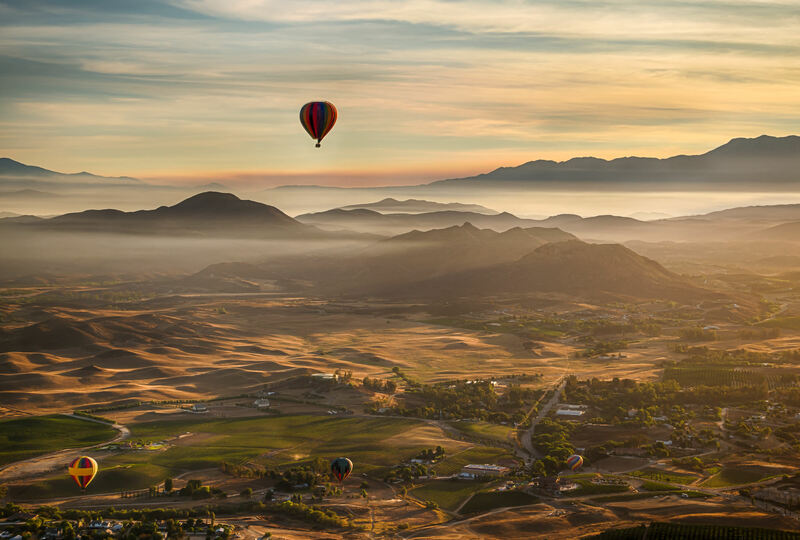 In Temecula, Southern California, there are several to choose from. We used Grape Escape Balloon Adventure which leaves from Europa Village Winery at 33475 La Serena Way, Temecula, CA 92591. I have only ever done one balloon ride. I will definitely do more, as the experience is amazing and the photographic opportunities are outstanding. 1. Most importantly, you are allowed to take camera equipment with you! You will not have a lot of space, but should be able to carry two bodies if you prefer to do that. 2. Do a balloon ride where the scenery is interesting. 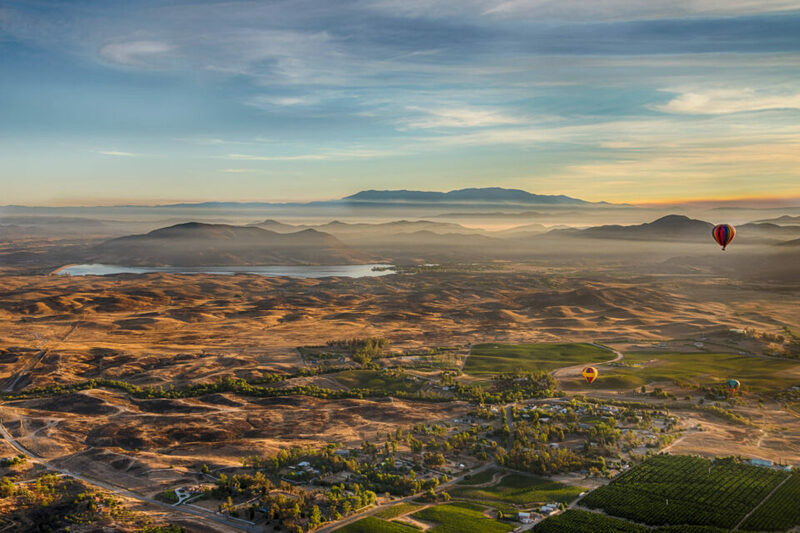 The rolling hills of the wine country of southern California was very good. 3. Rides are not cheap – we spent about $130 – but worth doing. 4. 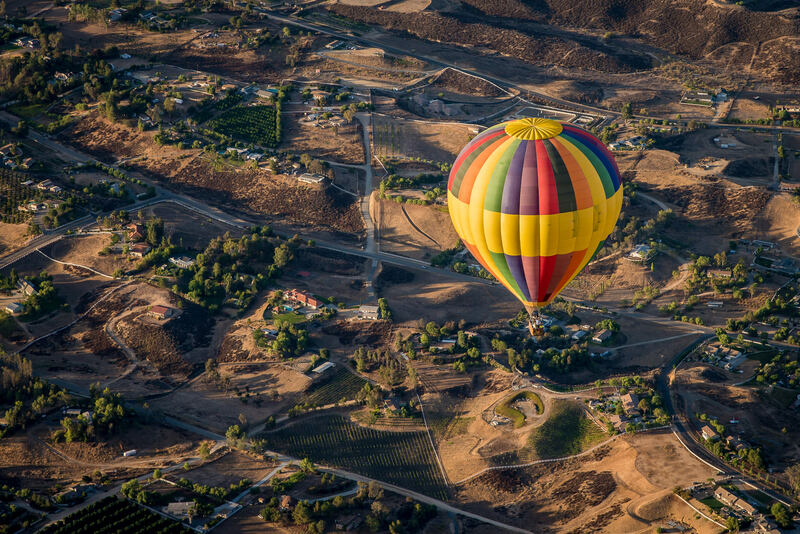 Rides in Temecula leave very early in morning – perfect lighting for photography. 5. Wear closed-toed shoes(it’s a rule) and layers (temperatures can vary substantially). 1. Don’t be afraid to up your ISO, especially early in the flight. You can lower it as the light improves. 2. You want to shoot some shots wide and some not so wide. You will see pictures in this series from 32mm to 120mm. 3. My gear was a Nikon D600 with my trusty 24-120mm. 4. Aperture will vary depending on the light. I was often at f/11 when it was dark to get decent DOF, but as the flight went on and the light improved it was possible to lower the ISO and close down the aperture. 5. It may go without saying, but forget your tripod. It wouldn’t help you even if you were allowed to take it. Use a shutter speed appropriate for hand-held shots.